2018 has been a big year for the PADI Asia Pacific Quality Management Team! Seminars, webinars, member updates, member excellence awards, saying goodbye to old faces and as well as welcoming new ones into the team has kept us all extremely busy. Since this is our last article for the year, it seems only fitting that we take a look back on an excellent year and share some of our highlights with you. This year PADI members have attended an impressive amount of Risk Management Seminars in the field. Close to 50 seminars across 3 languages have been delivered live and in person for PADI members. Over 1200 PADI members from all walks of life attended these seminars spanning across Asia Pacific. Members contributed their ideas and real life experiences to help us all make diving as safe as we possibly can. PADI Risk Management Seminars feature relevant information which is compiled from real data and trends occurring in the field. Risk Management seminars give PADI members a chance to listen to real scenarios, ask questions and provide their input and experience. Problem solving and solution thinking feature strongly in these seminars. This programme is an enormous benefit of the membership and diving safety in general. Attendance is one of the benefits of your PADI membership so please join us for seminars in 2019. Don’t forget by attending you will receive seminar credit to count towards higher PADI membership credentials. The team has also had a lot of fun delivering our quarterly Risk Management Webinars this year with the introduction of our fictional PADI members Bob, Betty, Barry and Beatrice. During these webinars the team tackled realistic issues faced by PADI members through the eyes of our fictional members. The webinars are interactive which gives our members a chance to ask a wide array of questions which we endeavour to answer. Our polls help our members see what other member’s thoughts are on specific topics and also provide a great discussion point for all. Again, this is another valuable benefit of the membership so please keep a look out during 2019 for your email invitation to these quarterly Risk Management Webinars. In 2018 the QM team had the pleasure of recognising PADI members for their excellence in the field. This programme recognises PADI members who received outstanding feedback from students and customers with regards to training and customer service. This year the QM team had the pleasure of delivering over 1000 Excellence Awards for our members in Asia Pacific. We also nominated members every month for the Member of the Month Awards (a global award recognising the best of the best). Finally recognising the efforts of Emergency First Response members in the field who provide first aid and rescue support at incidents they encounter is incredibly rewarding. Well done everyone and keep up the fantastic work! Maintaining the high standards by which PADI members are know is a role for all of us. Whether it be store owners, centre manager, instructors or PADI staff we are all invested in keeping diving safe and providing excellence in training and customer experiences. Because of this commitment to excellence, the vast majority of PADI customers receive an excellent level of service. Where the level of training or service falls short of PADI standards, the Quality Management Department is there to provide support, education, retraining and in a small number of cases to take punitive action. For more about the Quality Management Programme refer to your Guide to Teaching or padi.com under consumer protection. The QM team is very excited to welcome Kim Ngan who is our newest Quality Management Consultant. Kim has previously worked for PADI as a Regional Training Consultant, is a Master Instructor, and brings a wealth of expertise from her teaching background in Queensland. Be sure to say hello to Kim at one of our many seminars during 2019. As the year draws to a close we would like to thank our members for your support and remind you that in 2019 you can count on us to continue to deliver a superior level of Quality Assurance and Risk Management support to our individual and store members. We wish you all a wonderful festive season and that you all have happy, safe diving for the year to come! All the best from your PADI Asia Pacific Quality Management Team. Would you like to increase specialty certs this quarter? The popular Specialty of the Quarter campaign has been crafted to do just this. With easy to adopt marketing tools be sure to grow interest in continuing education today! With two PADI Specialties on offer, you have the flexibly to promote what best suits your dive shop. PADI Asia Pacific will also be promoting these specialty courses throughout the quarter to consumers. Bundling is a great way to add-value and provide a convenient way to introduce divers to PADI Specialty courses. Specialty courses offer the perfect opportunity to widen the knowledge of your students, better understand their interests as divers, and make sure they come back to do more courses. You can also tie this in with the free PADI MSD Application available in the Asia Pacific region. To help you promote the PADI Specialty of the Quarter you can download free digital marketing materials in English, Korean, Traditional Chinese and Simplified Chinese which includes web banners, headers and more. Contact your PADI Regional Manager, Regional Training Consultant or the PADI Asia Pacific marketing team on marketing@padi.com.au. Are you an experienced EFR Instructor? Would you like to help new instructor candidates become EFR professionals? Training other professionals is a demanding but rewarding job. For dates and locations of these courses CLICK HERE. Please note that additional locations are added throughout the year so if you don’t see one that is convenient for you, contact our Instructor Development team to see if one can be scheduled (bearing in mind each course is subject to a minimum number of participants). The first EFR digital student manuals are planned for release during 2018. With more and more people using their tablets, phones and computers the option for online and offline digital study materials is increasingly popular and in demand. The manuals will be accessed through the Adobe Experience Manager (AEM) platform which offers a great online and offline experience across various platforms. It also offers the ability to search for key words so that a learner can quickly find information to review or jump back to a specific topic or course content. Updates are almost seamless and each time the user logs in the most current content is available. Watch out for further information and announcements with exact launch date. to protect and repopulate turtles, fish and other species? Gather data we need to identify and implement ongoing and new solutions? Teach kids and cultures what we’re learning and that we do make a difference so that saving and restoring the planet continues, expands and strengthens? These are not small local experiments – these are fins-on-the-ground, proven-results initiatives in action. The PADI Master Scuba Diver™ rating is often described as the ‘black belt of scuba,’ and this year, PADI are giving you the chance to win a yearly PADI Membership by inspiring your customers to join this elite group of divers. The PADI Master Scuba Diver Challenge was created to help your business increase sales of specialty courses and grow interest in the prestigious PADI Mater Scuba Diver rating. We spoke with one of the 2017 winners, Natalie Hunt from Assava Dive Resort to gain an insight into how they put the challenge to work at their store, and how you can achieve similar success at yours. “We offered specialties such as Wreck, Deep and Nitrox to our current Divemasters and we also promoted the ECO programs such as Dive Against Debris and Shark Conservation specialties. Divemasters received a discount on their specialties, especially when the took more than one specialty. These easy-to-adopt initiatives are a great starting point to increase your specialty certifications. For a more personalised approach, Natalie explains how they recommended flexible programs based on guests’ diving experience. Oftentimes, it’s simply a matter of starting the conversation – which we’ve made easy with this range of tools. Still need ideas? Check out this blog here. Need more info? 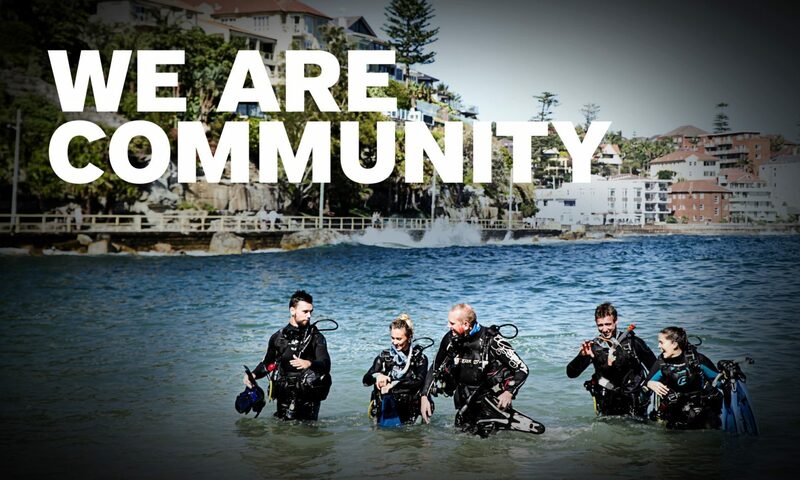 Get in touch with your Regional Manager or alternatively email marketing@padi.com.au.